GREENSBORO, N.C. — Heading into Week 10, Samford was the talk of the Southern Conference. The Bulldogs carried a 13-game winning streak into a road series at UNC Greensboro, highlighted by Week Nine’s three-game sweep of back-to-back reigning regular-season SoCon champ Mercer that was sandwiched between midweek wins against Auburn and Alabama. But the Spartans stopped Samford’s momentum in its tracks, sweeping the three-game series to climb into first place in the SoCon. At 10-2 in the league and 29-10 overall, UNCG is now the clear-cut team to beat in the competitive SoCon, with Wofford (9-3) nipping at its heels. The Spartans have embraced all of their challenges this year, and it has worked out for them almost every weekend — they have won nine of their 10 weekend series, including each of their last eight. This is a veteran team that does a lot of things well and has gotten used to winning over the last three years, after winning 25 or fewer games in six of the previous seven seasons. Link Jarrett took over as UNCG’s head coach prior to the 2013 season, and it took him a few years to get his own players in place and turn the program around. The Spartans went 24-31 in his first season, 21-38 in Year Two and 23-27 in Year Three — but then the arrival of a talented freshman class helped spark a 15-win improvement in 2016, when they finished 38-21 overall and just a game out of first place in the SoCon standings. 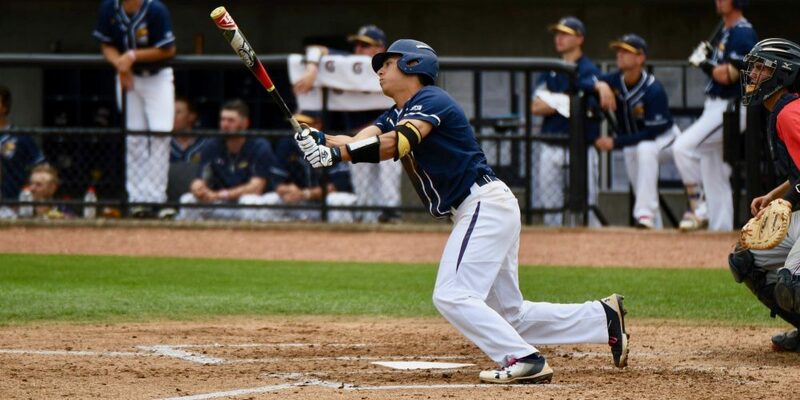 Trejo, fellow outfielder Andrew Moritz and righthander Matt Frisbee made huge impacts as freshmen that season, and they’ve kept on performing at a high level for a team that has kept on winning over the following two seasons. Last year the Spartans finally broke through in the conference tournament, winning the automatic bid to reach regionals for the first time since 1997, and just the third time in program history.